I love Tana French’s books! So, so good! I’m glad I finally got around to them! 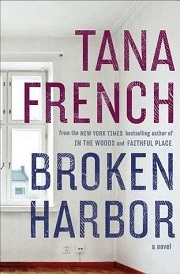 Broken Harbor is (so far) my favorite of the Dublin Murder Squad series. I didn’t like Scorcher either but I understood him and the ending of the book just gutted me (in a good way). I still have the Witch Elm left to read. 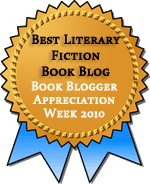 I’ve checked it out twice now but the Tournament of Books and other things got in the way. I’m really pleased at how much I’m enjoyed all the books in the series, I’m going to try to read the rest this year, then maybe I’ll get to Witch Elm.